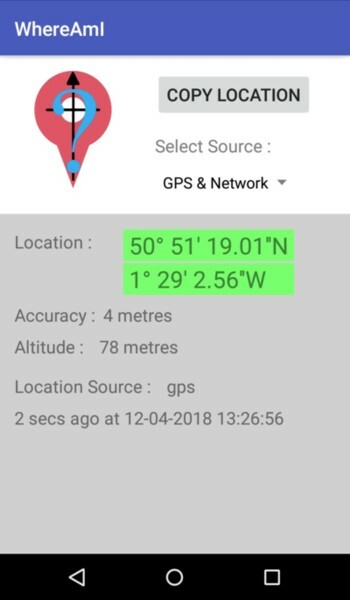 WhereAmI is an Android app that will show your phone's latest location information, how accurate it was, where it got it from, and when. The position display changes colour according to the accuracy and age of the position. Green means recent and accurate, changing to red the less accurate or older the location is. 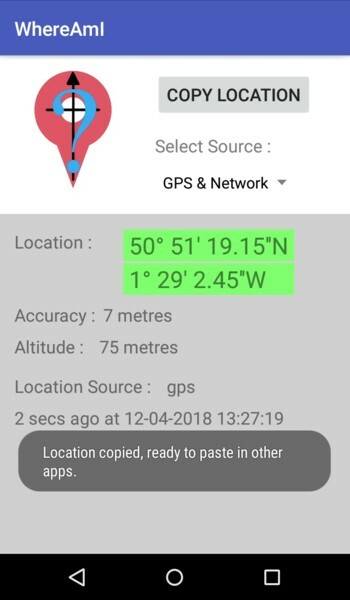 The COPY button allows you to copy the location, time, and a google maps link to the location so that you can paste it into a text message, or any other app. No adverts. No data tracking. No wifi or data connection required.